ANA Revision of Code of Ethics. Image composite from ANA. 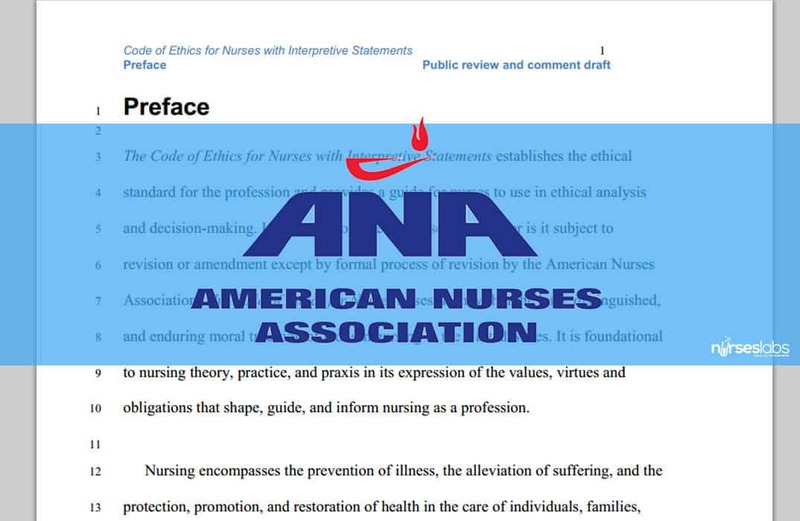 The American Nurses Association (ANA) is seeking feedback on the draft Code of Ethics for Nurses with Interpretive Statements. ANA’s draft of the new Code of Ethics is available for public viewing and encourages nurses to “read and reflect” on the entire document. For the preface and the nine provisions of the code, nurses are asked to provide feedback through their website. A narrative is included on each provision to summarize the list of changes. The deadline for submitting comments is until June 6. To submit your comments, visit ANA’s Public Comment on the Revision of the Code of Ethics.